Russia's ability to support India's large-scale infrastructure projects, its expertize in creating robust electronic payments infrastructure and its technological advancements in renewable energy could support India's move towards a more competitive economy. In the 2017 Union Budget, presented on Feb. 1, Indian Finance Minister Arun Jaitley announced several direct and indirect measures that may boost foreign investment in the country. Manufacturing, infrastructure and digital transactions are some of the key areas that offer Russian businesses opportunities in India. 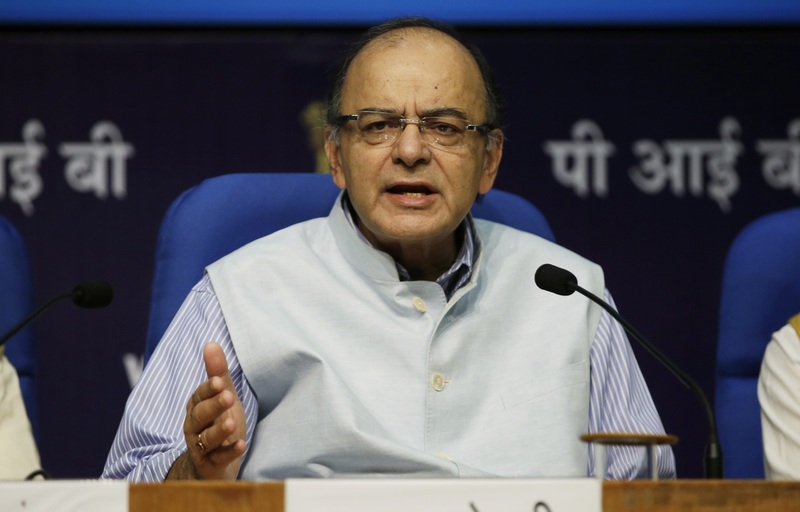 Jaitley spoke on an optimistic note when it came to India’s projected GDP growth. The Indian economy is expected to grow between 6.75 per cent and 7.5 per cent in the next financial year beginning on April 1, according to the Economic Survey 2016-17 released a day before Union Budget announcement. The current year's GDP growth is projected at 7.1 per cent, down from last year's 7.6 per cent figure, as a result of various factors such as demonetisation. Despite the fact that the survey admitted that demonetisation has resulted in a short-term slowdown in economic growth and that economic recovery from demonetisation requires policy support, Jaitley's speech focused only on the positive outcomes of government's move: long-term benefits in terms of reduced corruption, greater digitisation of the economy, increased flow of financial savings and greater formalisation of the economy. “The effects of demonetisation are not expected to spill over into the next year,” Jaitley said, adding that surplus liquidity in the banking system, created by demonetisation, would lower borrowing costs and increase the access to credit boosting economic activity in the country. For foreign investors the new budget provides an interesting mix of commitments. While the current government is determined to make India more open and less unpredictable for foreign investors, the strong focus on economic growth supported by investments in critical infrastructure and innovation opens up new opportunities. For Russia, these opportunities go far beyond traditional sectors of cooperation. Russia's ability to support India's large-scale infrastructure projects, its expertize in creating robust electronic payments infrastructure and its technological advancements in renewable energy could support India's move towards a more competitive economy. Alok Kumar, CEO of the Moscow-based AKIS Tech Ltd, believes the new budget sends a few positive signals to foreign investors, and Russian ones in particular. Jaitley said India's economic growth would be aided by the government's policies and determination to continue with economic reforms. He added that there would be an increase in public investment in infrastructure and development projects, which would combine with export growth resulting from a rebound in the global economy. Announcing the government's initiatives in the infrastructure sector, Jaitley said India would invest $59.5 billion (Rs 3,96,135 crore) in creating and upgrading infrastructure in the next financial year. Much emphasis is given to pushing forward many road sector projects that were much behind schedule due to legacy factors. The budget proposed extensive capital and development expenditure for the railways. As India continues the modernization of railway corridors with 3500 km railway lines set to be commissioned in 2017-18, participation in the railway project could become one of the new areas of cooperation with India. Russian Railways has already been in talks with the Indian government over conducting a feasibility study aimed at upgrading train speeds on the Nagpur-Secunderabad route as a part of a government-to-government agreement between the two countries. The development of new modern ports and airports has also been recognized as one of India's priorities in infrastructure. The government is also planning to draw up a specific programme for development of multi-modal logistics parks, together with multi-modal transport facilities. “Integrated transportation focus, including railways, metros, multi-modal transport and highways, is transformational and also creates more opportunities for Russian companies to participate in infrastructure projects,” Alok Kumar said. The new budget provides certain allocations for expanding telecom and broadband infrastructure to support the country's move towards digital economy, a point often considered by industry experts as a biggest challenge to 'Digital India” initiative. “With higher connectivity and higher digital touch points India will move more towards digital mode of transaction, reduce black economy and slippages, increase ease of doing business and will actually promote inclusiveness,” Nitin Jain, CEO, Global Asset & Wealth Management, Edelweiss Financial Services told RIR. One of the major announcements delivered during the budget presentation is a move to merge the existing state-owned oil and gas companies to set up a public sector “oil major” which will be able to match the performance of international and domestic private sector oil and gas companies. Industry analysts believe this provision will enhance the capacity of oil PSUs to bear higher risks and improve efficiency, however, the move will not have an immediate impact on the sector as the planning and setting up of such a corporation will take several years. Another announcement in the energy sector concerns the building of strategic oil storage facilities in Odisha and Rajasthan. India has already built underground crude oil storage capacities in Vishakhapatnam, Mangalore and Padur with a total 5.3 million tonnes in capacity. “Filling up the new oil storage facilities proposed in the new Budget is something Russia and India could look at given the fact the Russia and India are closely cooperating in the oil and gas sectors and considering that Rosneft that has closed the Essar Oil deal last year and now owns a refinery in Western India. It will be mutually beneficial,” Amit Bhandari, Fellow, Energy & Environment Studies, Gateway House, told RIR. Another move that should be closely watched by Russia is the proposed reduction in basic customs duty on liquefied natural gas (LNG) from 5 per cent to 2.5 per cent – a move that will support India's shift to a gas-based economy. Bhandari added that it might be the right time for Russia and India to intensify on going talks on expanding LNG supplies. “As India is emerging as a major LNG market in the nearest future, its imports are expected to double over the next five years, the idea of Russian LNG deliveries to India appears to be a promising area of bilateral cooperation,” he said. Attracting foreign direct investments (FDI) into India has been one of the major concerns of the current government. Over the last year, FDI has increased by 36 per cent, Jaitley noted, from about $16 billion (Rs. 1,07,000 crores) in the first half of the last financial year to $21.7 billion (Rs. 1,45,000 crores) in the first half of 2016-17. In a move to further ease the path for foreign companies to invest in India, the government announced the scrapping of Foreign Investment Promotion Board (FIPB) that served as a single window clearance for FDI applications that required prior approval. The measures undertaken by current government have already led to a situation where more than 90 per cent of FDI proposals are coming through the automatic route, and not through FIPB, Jaitley noted. The roadmap for phasing out FIPB will be announced in few months while the Indian government is considering further liberalisation in FDI as it continues to push its reform agenda for stable and stronger institutions. The $13 billion deal by Rosneft and its partners to buy Essar Oil in 2016 was the largest ever FDI in India. Certain measures proposed in budget aim to make India's financial and capital markets more competitive. “We can definitely see that government moves towards easing norms and processes for entry of foreign portfolio investors (FPI). The government took some steps to ease the access to Indian capital markets for FPIs,” Viraj Kulkarni, Pivot Management Consulting Founder told RIR. He added that government has clarified the uncertainty surrounding the application of indirect transfer provisions, especially to foreign portfolio investors and private equity investments into India. Ksenia Kondratieva is an independent journalist based in Mumbai covering business, economic reforms and development, and international relations.